Brandable Webcam Watcher - Provide your customers with a way to monitor their favorite webcams, with large potential markets in home security, adult entertainment, and general internet use. 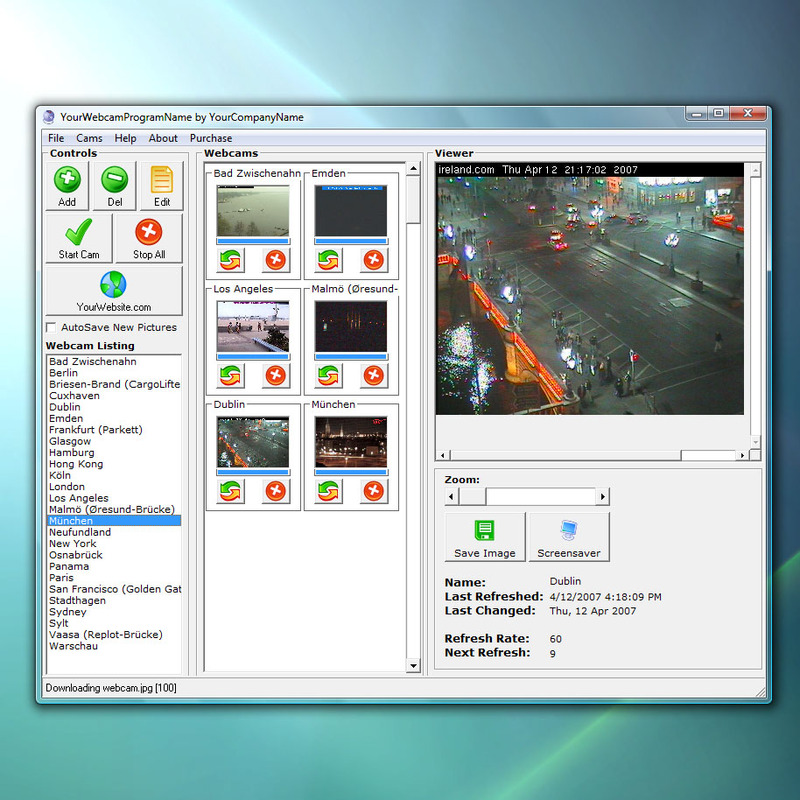 Your customers can monitor up to 24 webcams at once with real time updates. They can save new pictures, pan an zoom, or even use the webcam as their screensaver. Automatically downloads webcam images! Can watch up to 24 webcams simultaneously! Private label. Watch up to 24 webcams simultaneously! Master Resell Rights! * Can save any new pictures automatically! * Click on a webcam's thumbnail image to see it full size! * Zoom in and out on webcam images! * You set the refresh rate for each webcam! * You can even turn a webcam into your screensaver! Watch up to 24 webcams simultaneously! Save as pictures or use as a screensaver. the most powerful webcam server. 8-ch H264 webcam surveillance software.high quality video and audio effect. Qweas is providing links to Rebrand Webcam Watcher 2.1 as a courtesy, and makes no representations regarding Rebrand Webcam Watcher or any other applications or any information related thereto. Any questions, complaints or claims regarding this application Rebrand Webcam Watcher 2.1 must be directed to the appropriate software vendor. You may click the publisher link of Rebrand Webcam Watcher on the top of this page to get more details about the vendor.